This article was for 2012, but boy does it still apply for 2013. Just follow a few of these tips and your 2013 will rock! Love to hear your thoughts . Goals, dreams, to do’s, follow-up, connecting with old and new clients, coming up with a new plan, working, working, working … AAAHHH, it all seems to be too much at the beginning of a New Year. It’s just too much to even think about and so much easier just to not do it. But when you do, it can be so beneficial for the entire year. You set the pace and the success right now for what you can accomplish this year. So go ahead, get out there and do it. Here’s a little help. 1) Get Organized – Clean out the old and bring on the new. It’s so important to put away last year’s work and start with a clean start for not only you, but your clients too. It can be as simple as going through your client’s folders, putting anything you might need this year in a new folder and everything else stays in their old worn out folder. Put all your client’s 2011 folders together, put a rubber band around them, and put them away marking them 2011. Also make sure that everything is in alphabetical order in your current file system. Never know how by the end of the year that totally slips and the z’s are by the e’s, but it just happens. How awesome to see a-z once again. Now continue this throughout your office. Done! 2) Get a new planner. (Yes, I know you have one already – but don’t skip to the next step just yet.) This planner doesn’t have client work in it. It doesn’t have school functions and times to pick up the kids. This planner is your business growth planner. (Make sure to mark it accordingly.) The planner needs to have each day on a new sheet, divided by hours. 3) Get Planning – Set out time to work your business. In your new planner, for the next month shade in time you plan on working on YOUR business. For me it’s in the morning from 6:30 to 7:30 and then at lunch. I will probably work other times on my business, but this is the time that I have scheduled just for it. I am a morning person and this is when I do my best work. Take that into consideration for your plan. When are you at your best? For just one week write down what you are going to do in that time. Each Friday or over the weekend you are going to take that one step and plan out your next week. 4) Get writing. (You knew as a marketer, I’d say that didn’t you!) You are going to write one article a month. No excuses. With that article you are also going to send it out, add it to your blog, create a couple of tweets from it, and also add it to your newsletter. Can you see the traction you can get with just one article? And don’t forget you can hire a publicity virtual assistant to do this for you. 5) Get Social – Okay, I know you are already on Facebook and Twitter, but this year you are actually going to get more involved. In your planner, you need to schedule time (at least several times a day) to get active on Twitter and Facebook. (Or whatever social media you use.) Schedule the time and then send great quality tweets and tips. 6) Get Help – You just don’t have to do it alone. Hire a virtual assistant or someone who can help you accomplish all these goals. 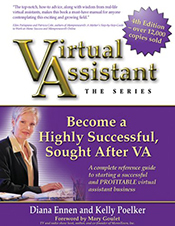 If you have a virtual assistant already, start sending things over to them to do. It’s all about the action steps of getting it done. 7) Get Happy – Remember you own your business for a reason. Enjoy it! Don’t get so caught up in the to do’s and client work to not remember why you are doing this in the first place. Take some time to reflect where you are and just be grateful for being there. Commit to enjoying your business more this year and the rest of all this (the to-dos’, the client work, etc.) will just seem to fall into place. Can you see how you can do this? You can grow your business. Yes, it will require that you make a commitment to it, but don’t NOT take advantage of that new year feeling. You will be amazed that after a short time, this will be so routine, you won’t even realize that you haven’t been doing it forever. 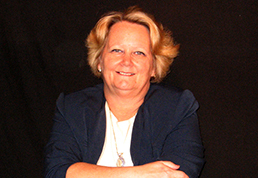 Diana Ennen is the President of Virtual Word Publishing, https://virtualwordpublishing.com and co-author of So You Want To Be a Work-At-Home Mom: A Christian’s Guide to Starting a Home-Based Business with Jill Hart and also VA the Series: Become a Highly Successful Sought After Virtual Assistant (Kelly Poelker). Article is free to be reprinted as long as bio remains. Say hello to freedom with systems utilizing VoIP protocols. Communication is an essential part of any business. It also provides voice mail message can lose a sale. phone system with sophisticated call management features of the business. bankruptcies, history of bill payments, and court hiostory at each and every phase of your life.